Hi my name is Jennie. I set up cheekyhandmades after I left my job 2010. I really wanted to use all my creative skills, skills I’d had for many years but never had time to use any more, and skills I realised I could and wanted to pass on. I also wanted to work for myself, I wanted to be able to work around my children. And I am doing all of that now, and am loving it. I get to be surrounded by like minded people, great fabrics, my kids and cats, and listen to music all day. I get to decide what I do every day and how I do it. I get to teach people how to make things and how joyful craft is. Every day my job gets better, every day I meet and talk to enthusiastic people and I help them achieve their creative potential. I purpose built sewing studio built for me last year and now we have space to spread out in a peaceful setting in the garden. Cheekyhandmades may be bigger but the ethic of having fun whilst learning remains. Cheekyhandmades stands for believing that everyone is creative, everyone can sew, and everyone will walk away from their class with something they are proud of. When I first began teaching it was out of necessity, a way of making enough money to pay the mortgage. Teaching seemed a good stop gap. I presumed I would have taught everyone in e17 in 6 months and then I would need to get a “proper” job. How wrong I was! That was in 2010 and I’ve not looked back. I’ve grown as a teacher and as a person too. My students often teach me as well as me teaching them. They may not realise this happens. It can be as simple as a new composition with my fabrics, colour combos I had not thought off. Or it may be they tell me about their work and their lives and that teaches me things. Or sometimes my reaction to people teaches me a lot! I may have an instant like for someone and I try work out why. Sometimes students become friends. Sometimes (extremely rarely) people jar with me and that is just as interesting when I try to work out why! I love empowering people to express themselves creatively. It makes me really happy to hear that someone feels she (usually a she, although of course I do teach men too!) has learnt this amazing new skill which will unlock all kinds of new things in their life. 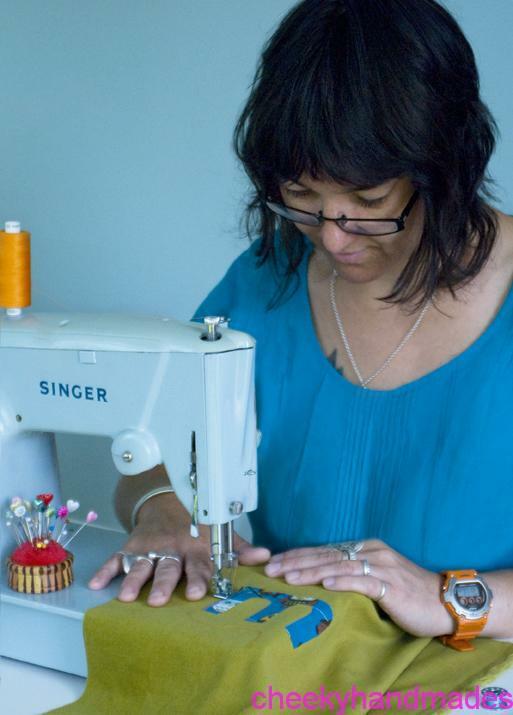 Sewing is not just about practical skills – although of course it is an extremely useful skill to have and I believe everyone needs to be able to operate a sewing machine and sew on a button or put a hem back in! Sewing is however so much more. It is a means to being creative, to making something for yourself or as a present, as art, or as something useful. Being able to think of a garment and then knowing how to create it or knowing how to follow a pattern or knowing how to make a fancy dress costume for your child… Priceless. It is empowering and fun and makes you happy. Talking of happy, sewing is amazing as a therapy too. It won’t cure your depression but it can certainly help you feel better. If nothing else if you immerse yourself in something creative you will feel a sense of achievement and it will have taken your mind off your worries for a while. I have crafted my way through some major crises in my life and nowadays I feel very odd and a bit twitchy if I cannot sew or knit or crochet for a few days. To imagine some people feel like that all the time…! Anyway I’ve gone off on a tangent. Not an unpleasant one and I could seriously go on about this for hours but you may get me by now. I love my job. It gives me enormous pleasure to set people on the path to crafty happiness. I love knowing that not all but quite a few of my students now “get” sewing and they can no longer imagine a life without it.